Folklight Film Club is a wine club-inspired membership experience around making a movie. Members attend unique events, get behind the scenes, and influence the movie being made. It’s the world’s first farm-to-table film. Membership enrollment is open now, space is limited, and enrollment closes in the fall. Sonoma, Napa, Marin, and Mendocino residents are eligible for membership. Table Read: The table read is the first time a screenwriter hears the script they’ve written read out loud by a group of actors who may or may not end up in the film. This is one of the important first steps of creating a narrative feature film, and you get to be there from the beginning. Red Carpet Oscar Party: Get red carpet ready and gather with club members to celebrate movie making’s biggest night. Games, red carpet interviews, wine, and surprises will be some highlights of the evening. Panel Discussion with Filmmakers & Cast: Fresh after wrapping principal photography on your film, get together with the cast and creative team to hear about the process and ask anything you’d like to know. Gallery Show: Enjoy art in multiple mediums inspired by themes from your film, mingling with members, and wine. Member-made Short Films: Get in front of or behind the camera and make a short film! Guided by Folklight professionals and our student crew, you make a short film in one day. Folklight Member Shorts Festival: Enjoy an evening of short films created by you! Film Inspo Concert: An interactive, 360° concert featuring re-imagined moments and music from beloved films. More details than this would ruin the surprise. Concert of the Original Soundtrack: A concert of original music created for Folklight’s feature film, with performances from the singer/songwriters, presented with a twist. Members’ Red Carpet Premiere: Be the first to see and celebrate the world’s first farm-to-table film. Walk the red carpet and become a part of film history in Sonoma County and beyond. Tell Us Your Stories Survey: This survey is where you plant the seeds of inspiration for the world’s first farm-to-table film. Be a Location Scout: Do you own or manage somewhere? Do you want to see it in your film? Be a Casting Director: Watch audition videos and vote for your favorite to play a role in your film. Choose the name of your film: Choose your favorite name from a list created by our screenwriter and director. Choose your film’s poster design: Choose the design that you think most captures the eye and the essence of your film. Video & email updates getting you behind the scenes of your film’s progress: We take you behind the scenes and show you every step of creating your film. You decide where the money goes: Should your film secure distribution and make money, you choose whether the money goes into growing our education program, to our scholarship fund, toward continued filmmaking (Folklight Film Club is a 501(c)3 (pending) nonprofit), or to the local 501(c)3 charitable organization of your choice. 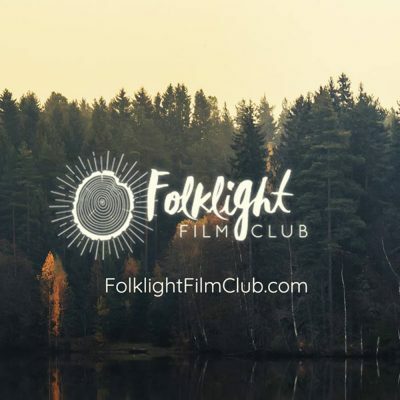 Meet Folklight Film Club, a new film production company that’s created a wine club-inspired membership experience around making a movie. Go to cool and unique events, get a glimpse behind-the-scenes, and get the opportunity to actually influence and inspire the movie being made. Membership enrollment is open now only while supplies last. Space is very limited. Sonoma, Napa, Marin, and Mendocino county residents are eligible to join. Membership will close once all spots have been filled. Join the world's first farm-to-table film today.